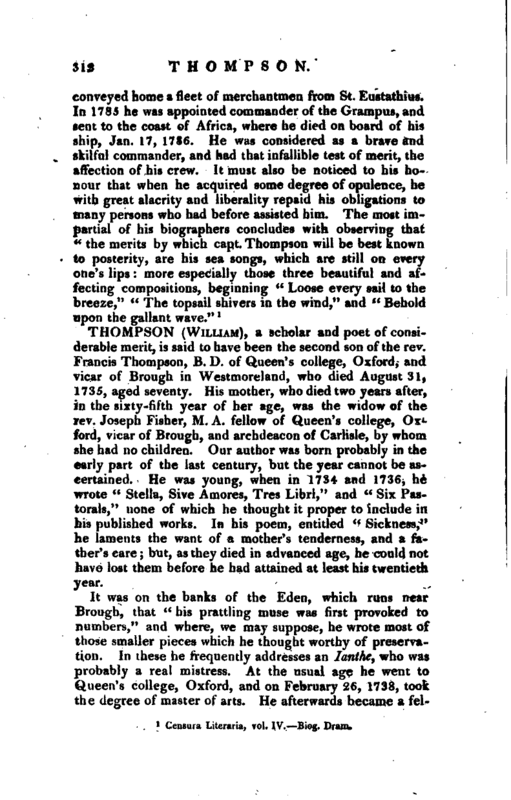 , a miscellaneous writer of no great fame, was the son of a merchant at Hull, where he was born about 1738. He was educated at Beverley, under the Rev. 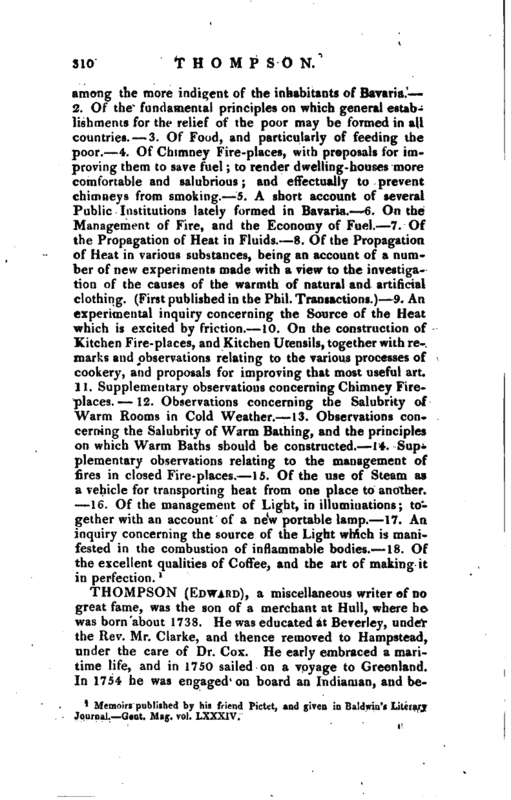 Mr. Clarke, and thence removed to Hampstead, unHer the care of Dr. Cox. He early embraced a maritime life, and in 1750 sailed on a voyage to Greenland. In 1754 he was engaged on board an Indiaman, and | became what is called “a guinea pig,” though other accounts say that he went to the East Indies with sir Peter Dennis, on board the Dorsetshire, and was in the memorable action off Quiheron Bay. By his “Sailor’s Letters,” it appears that he was at Madras, Ceylon, and Bengal. In 1759 he was engaged in Hawke’s celebrated battle with Gentians. 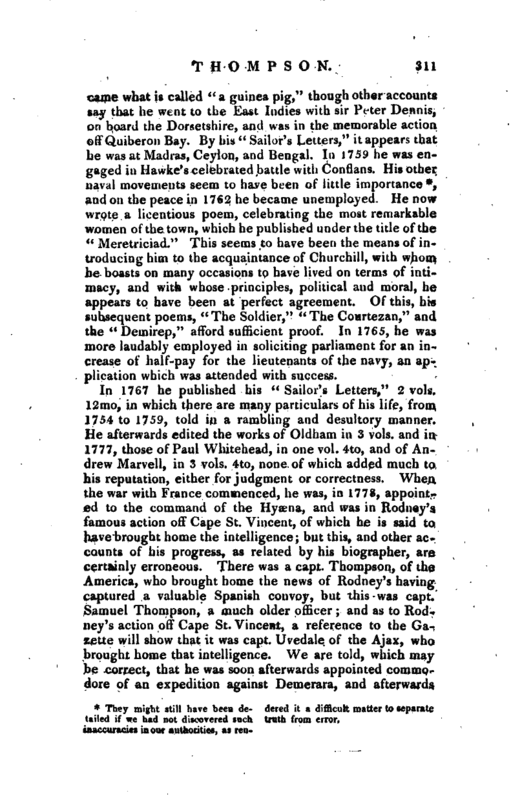 His other naval movements seem to have been of little importance*, and on the peace in 1762 he became unemployed He now wrote a licentious poem, celebrating the most remarkable women of the town, which he published under the title of the “Meretriciad.” This seems to have been the means of introducing him to the acquaintance of Churchill, with whom he boasts on many occasions to have lived on terms of intimacy, and with whose principles, political and moral, he appears to have been at perfect agreement. Of this, his subsequent poems, “The Soldier,” “The Courtezan,” and the “Demirep,” afford sufficient proof. In 1765, he was more laudably employed in soliciting parliament for an increase of half-pay for the lieutenants of the navy, an application which was attended with success. They might still have been detailed if we had not discovered such inaccuracies in our authorities, as ren­ dered it a difficult matter to separate truth from error. Censura Literaria, vol. IV.—Biog. Dram.